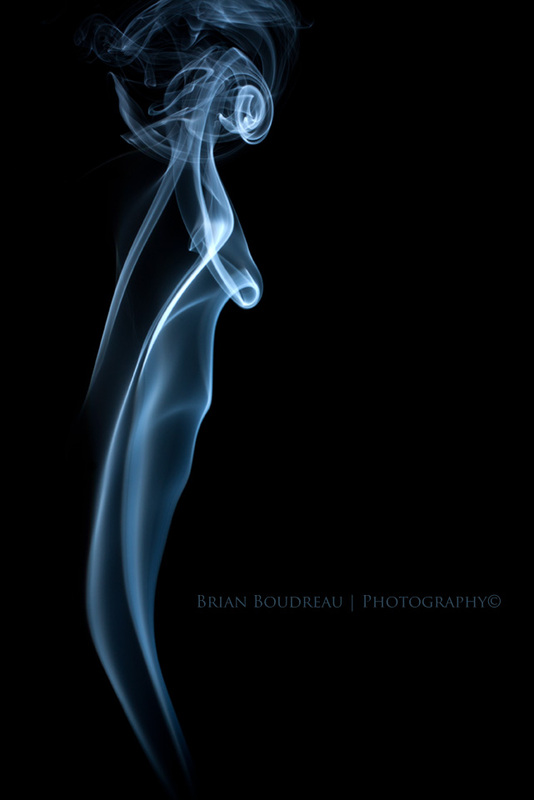 Shooting smoke is a pretty cool form of abstract photography. The smoke takes on a life of it’s own and each shot is completely different. This is not manipulated in Photoshop, it’s how it came out of the camera. I entered this shot into a photography contest and won 1st prize. Thanks to everyone for their support and any votes that you casted. The voting only made up a percentage of the outcome as it went through a few judging stages but I was pretty excited to have won. This is the first contest I have entered. Excellent work, Brian. What a creative photography/art form for sure. Very interesting read; thanks; I have been wondering about how this type of shot works! Congrats! 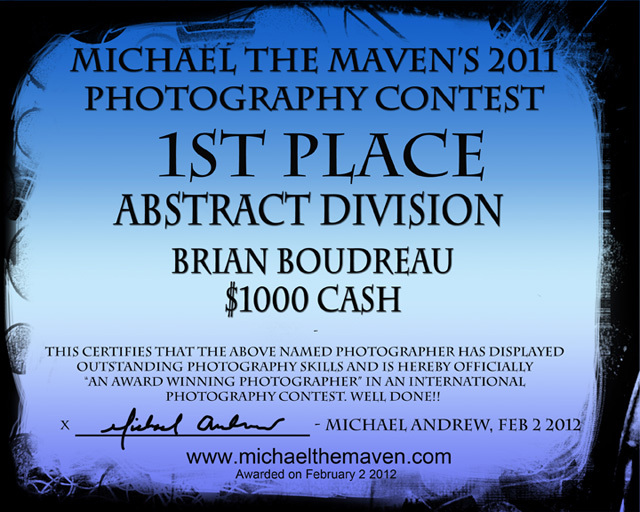 Definately had my vote, great abstract photo. Hey Brian, congratz from your family out east. Great art form used. You always put your creativity on display, and people are taking notice.